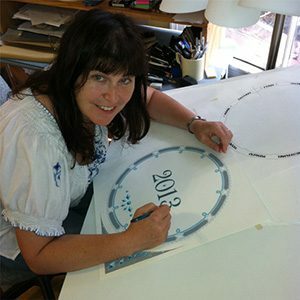 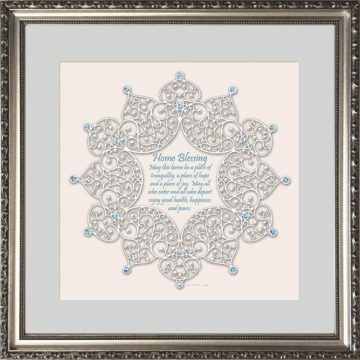 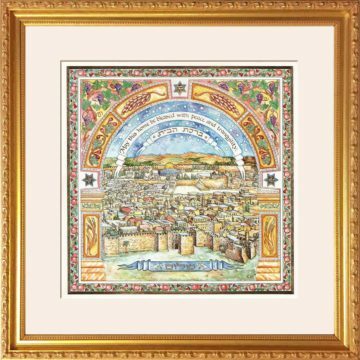 Jewish Home Blessing Art Print by Mickie Caspi. 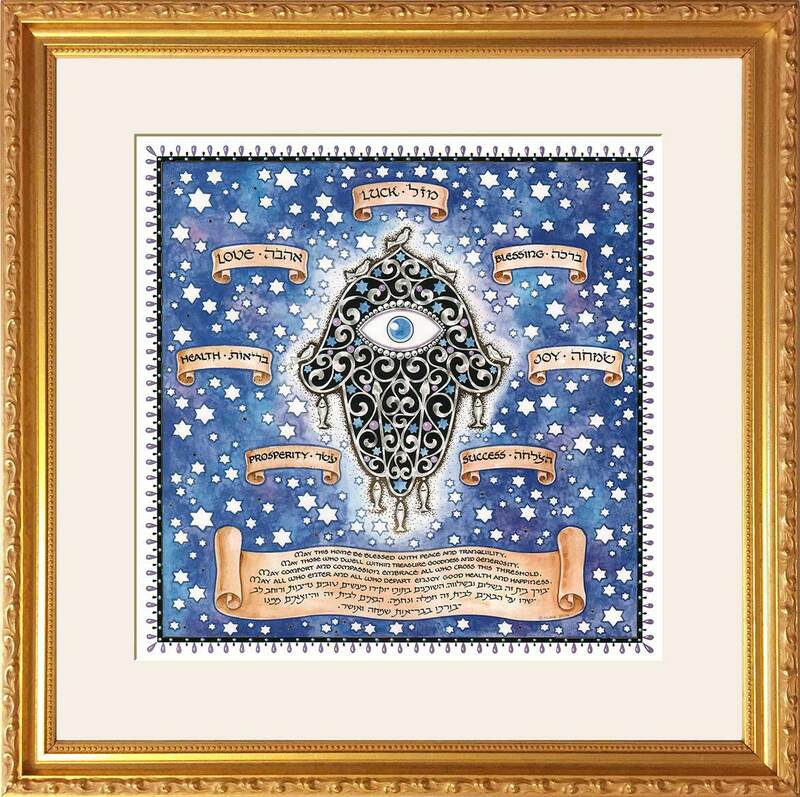 The seven blessings (prosperity, success, love, health, blessing, joy and luck) surround the Hamsa, a traditional symbol for fortune & luck. 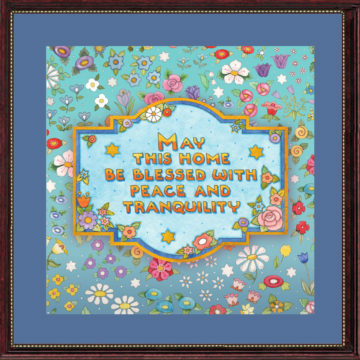 A wonderful gift and excellent home blessing for all.